If you had a hammer, would you hammer it in head? No. 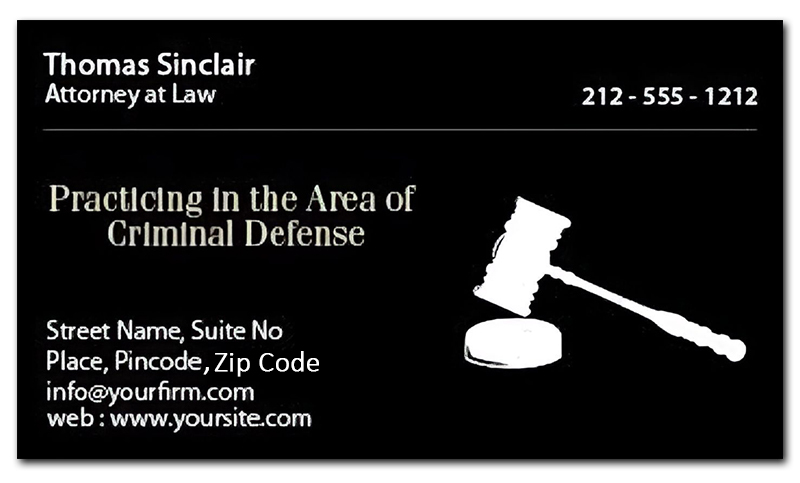 However, you can hammer your law services information in minds of your prospects with these 2x3.5 custom printed attorney/lawyer business card magnets 20 Mil square corners. These custom printed business card magnets are preferred by attorneys and other law abiding officials to maximize their exposure. Most people who receive these personalized magnetic business cards will always treasure with respect before their eyes. It means they know whom to approach the next time whenever a legal wrangle springs up. These full color printed magnets can be handed to clients after a service or it can be handed over during the public interaction programs, etc. Request a quote to know discounts that you can avail on bulk ordering these 2x3.5 personalized printed attorney/lawyer business card magnets 20 Mil square corners.